It looks like most of the technological devices we are using today are generating unbalanced energy emissions. These emissions have dangerous long term consequences for our health and well being, as we depend increasingly on this tecnology. In order to protect ourselves, it is important to get a clear understanding of the nature and source of the problem. It is clear that blocking EMF radiations is not going to be the solution. 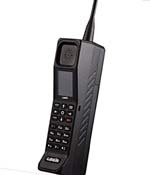 A case in point: In the 90's I had one of the first mobile phones, looking like a brick, it had an extendable external antenna. I was aware of the danger of radiations, so I ordered on line a special shield device which was supposed to block the radiations. The device arrived. It was a sheet of flexible metal (MU metal) which I was supposed to wrap around the antenna to sheild it and protect me from the radiated EMF. The device worked perfectly, I measured the radiation with a tri-field meter: no microwave, electric or magnetic readiations could penetrate the shield at all. However, there was no reception either. That mobile phone looked like a brick and became as useful as a brick. Our modern technology is based on EMF. This is the medium in which the information is carried. No EMF, no mobile phones, no computers, no motors, no fridges, no airconditioners, none of the modern technologies that we use will work anymore without it. Afer much research and studies I discovered that the EMF are no the problems, it is what rides along with the emF which is the problem. As an example, imaging a horse. It is neutral, it can move around. As such it can carry a load, for example a man with a hat. Still no problems. But it can also carry a cow boy with revolvers. Now we have a problem, because the combination of horse and armed cowboy can be dangerous. It all depends what teh horse carries on its back. For some reason EMF generated by outr technologies also carries an unbalanced energy quality. The net effect of that unbalance is to dehydrate the cells of our body directly. This is basically a mummifying effect. That unbalance is very detrimental to humans, but very beneficial to insects (termites ants cockroaches) which explains their proliferation. Blocking: One possibility we have seen above is to block the EMF radiation. There are several problems with this: The device may no longer operate, and the energy quality unbalance will propagate to the blocking device, making it unbalanced as well. So now you have 2 problems instead of one. Diverting: In some cases you can divert the EMF, but in most cases it is not practical or possible. The diversion will create an unbalance somewhere else, which will have to then be dealt with. Balancing: You will see in later pages that the energy quality mentioned earlier is made of 2 waves. A vertical one which is detrimental to us) and an horizontal one which is beneficial to us. The vertical can easily be balanced into horizontal using simple devices and shapes. You can read a story about a small Swiss village where Dr Karim solved all the radiation problems caused by newly installed mobile phone towers, using plastic shapes he designed. In the next few pages I will try to explain a bit further. The initial research and discoveries were made by 2 French Scientists in the 1950s and later by Dr Ibrahim Karim. I will explore the theory and explain how the ancient knew and used these forces for their benefit and how we can too.